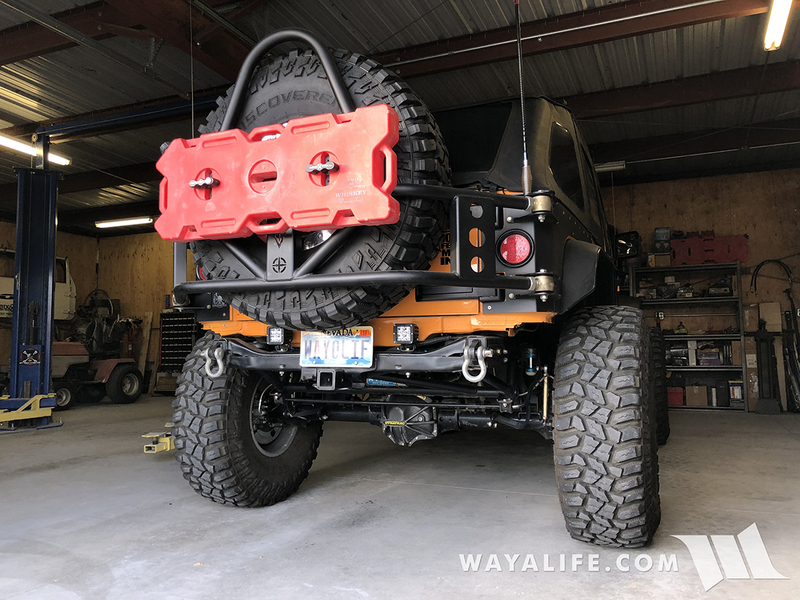 While this is far from being a new or an original idea, I don't think I've ever seen a good write-up for making your own Rotopax mount for an EVO tire carrier. Fortunately, it is cheap and super easy to do and this should help you out. Please note that the parts listed have been linked so that you can just click on them and buy what you need. • KC HiLiTES 7307 Tube Clamp Mount Bracket for 1.75" to 2"
This is a shot of pretty much everything you will need. 1. 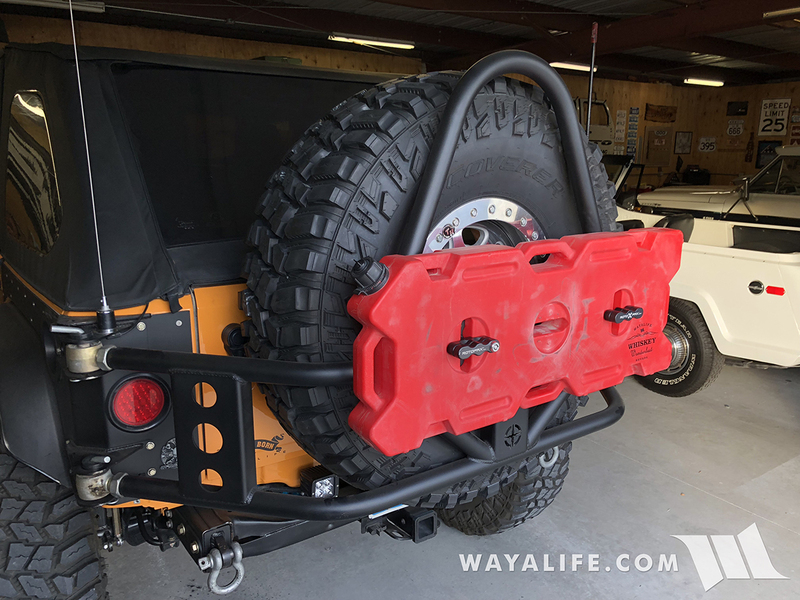 Install both of the KC Tube Clamps onto your EVO tire carrier and loosely secure them in place using the hardware provided. A 3/16" allen wrench will be needed for this job. 2. 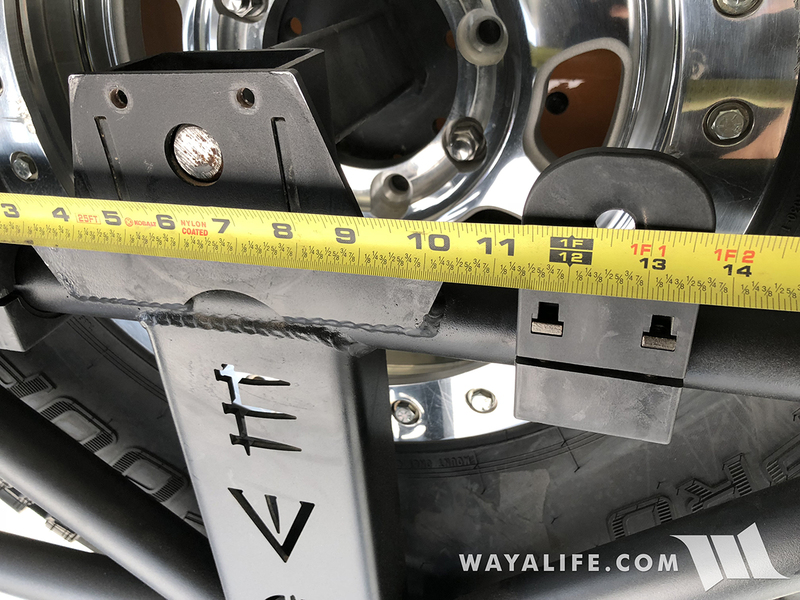 Spread the 2 KC Tube Clamps apart so that the center of the mounting holes measure 12-1/2" apart. 3. 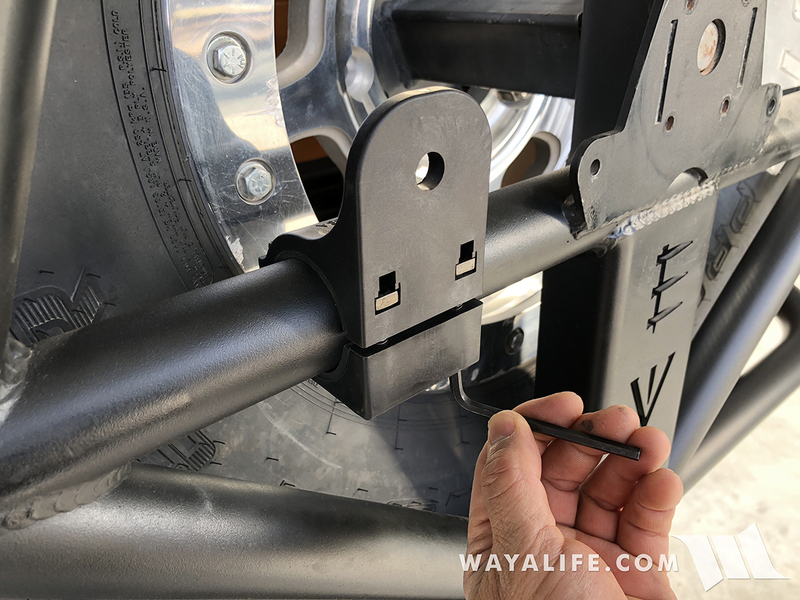 Using a 3/16" allen wrench, tighten the KC Tube Clamp bolts. 4. 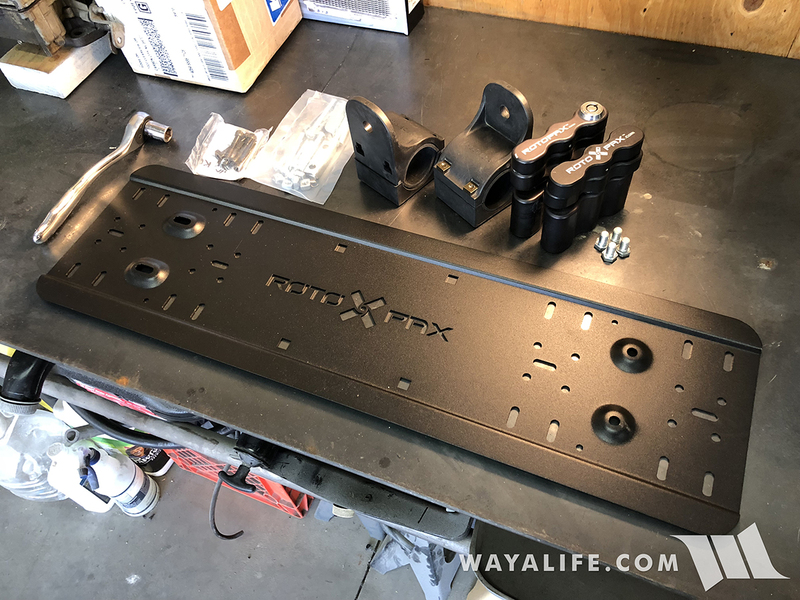 Loosely install your RotopaX RX-LOX-PM Pack Mount Lock and RX-DLX-PM Deluxe Pack Mount onto the RX-UP Universal Mounting Plate using the hardware provided. A 1/2" socket will be needed for this job. 5. 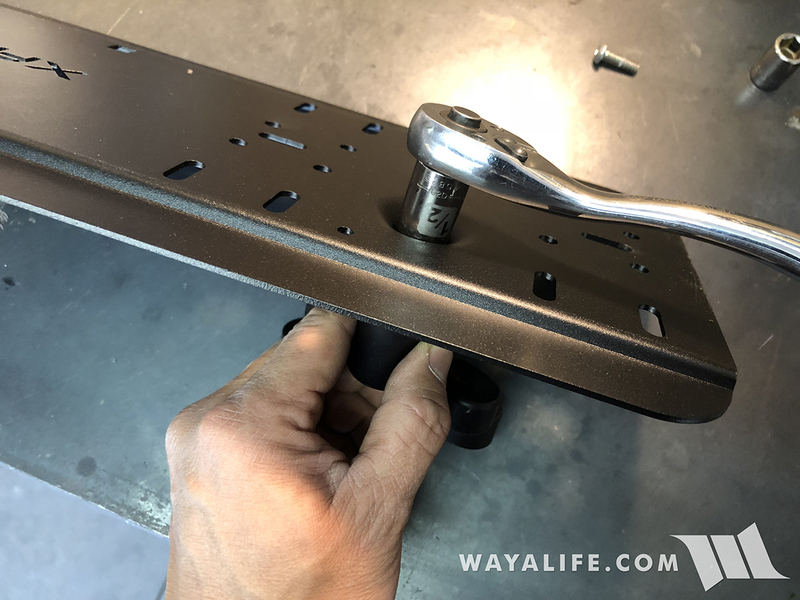 Place the assembled mounting plate onto your Rotopax making adjustments to the pack mounts as needed for a good fit. 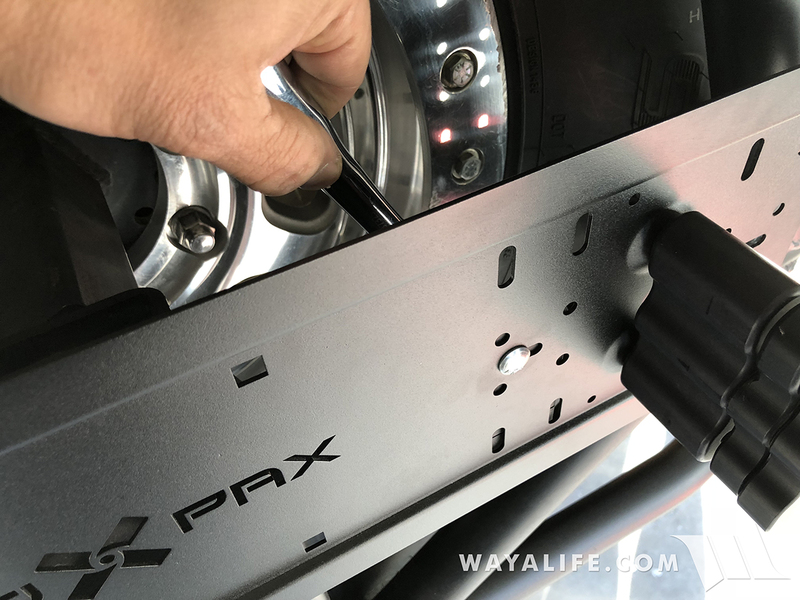 Then, use a 1/2" socket to tighten and secure the pack mounts in place. 6. 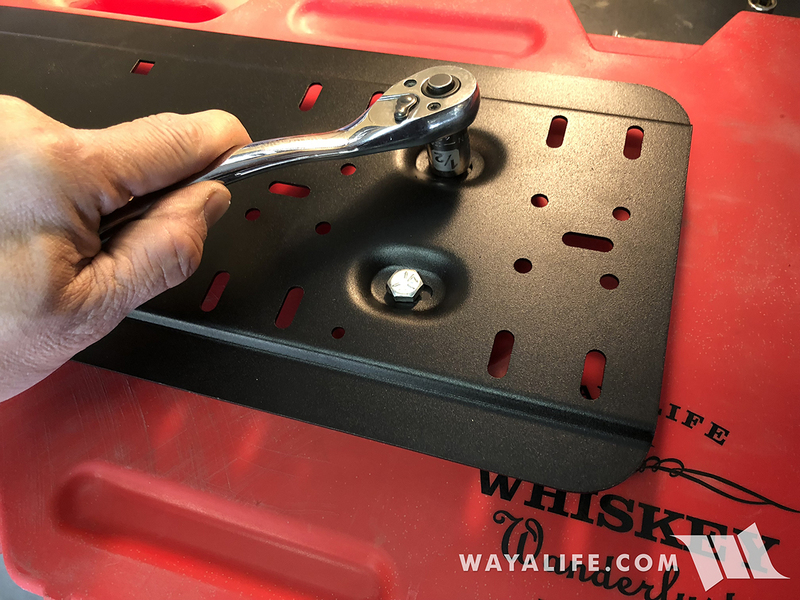 Secure the assembled Rotopax pack mount onto the KC Tube Clamp using 1/4"-20 carriage bolts, washers and nuts. A 7/16" socket or wrench will be needed for this job. 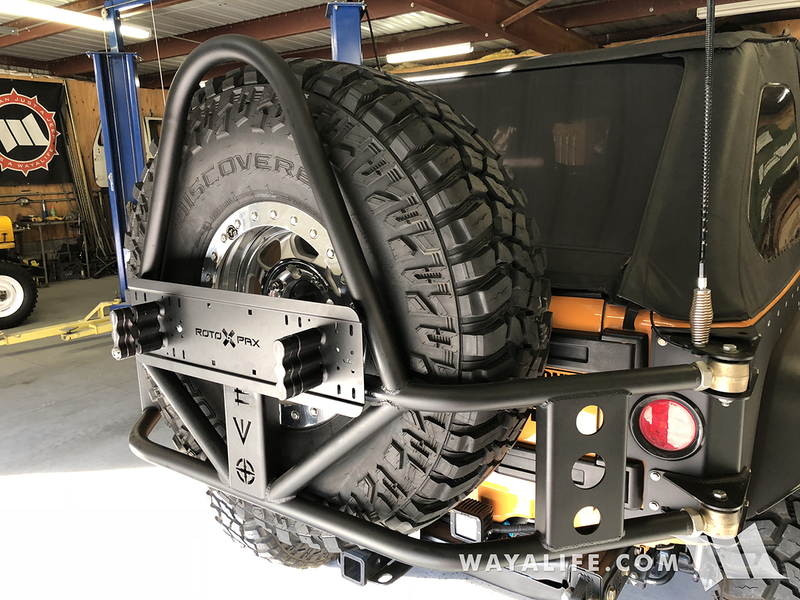 Here's a shot of what the Rotopax mount will look like installed on your EVO Tire Carrier. And finally, here's what everything looks like with the Rotopax installed. That's all there is to it. Please let me know if you have any questions. I always forgot you used the KC mounts. Looks good! That came out good. Was gonna ask about license plate then saw it down there. Thanks! I think this setup give a nice look like the EVO tire came that way. That's a really nice setup. 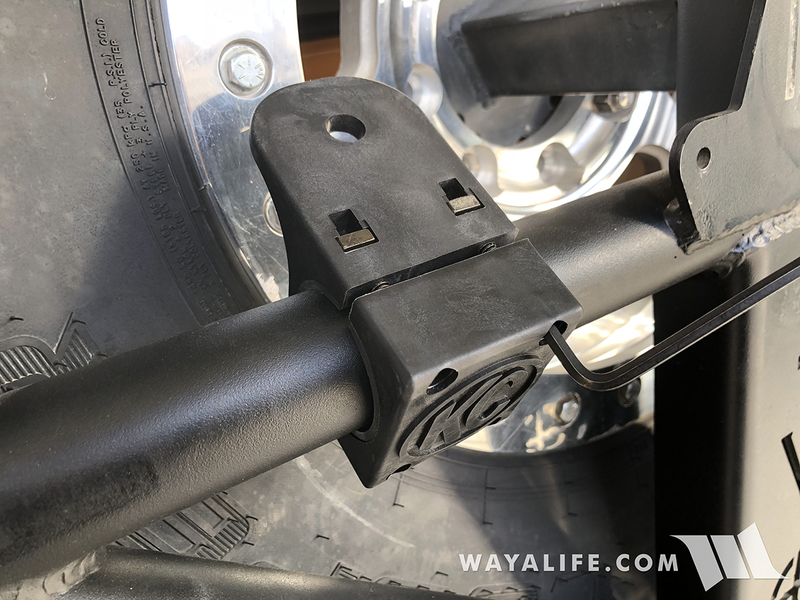 Those KC clamps are pretty handy! Very clean set-up. Thanks for the write-up. As always -- well done! 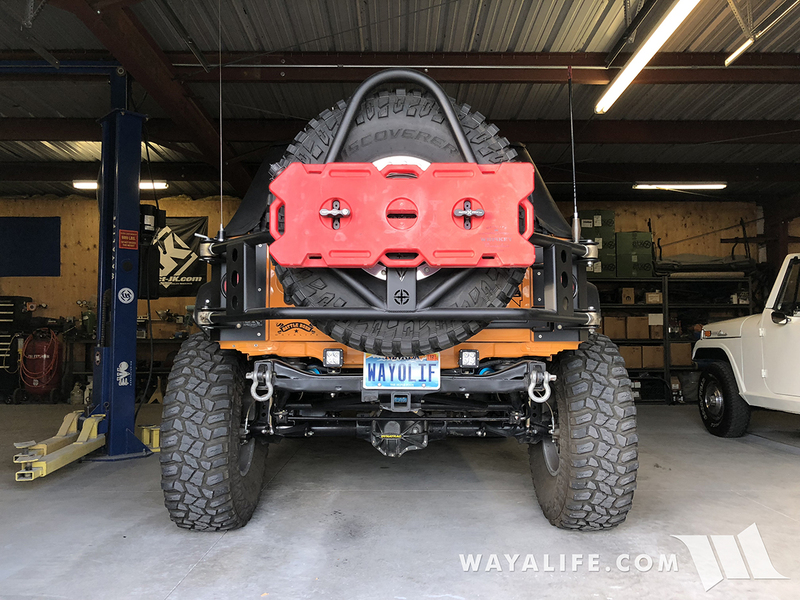 My Build: "Taking the Plunge" https://wayalife.com/showthread.php/...ng-the-Plunge!